Antony Cumper 2 walting again! 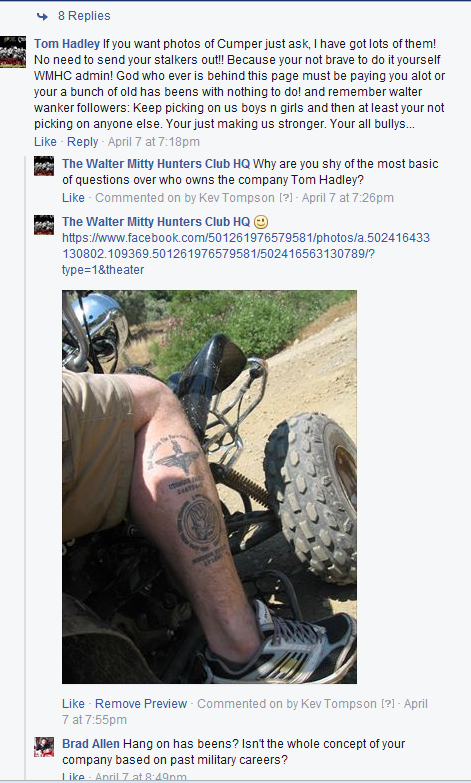 | The Walter Mitty Hunters Club. Antony Cumper 2 walting again! 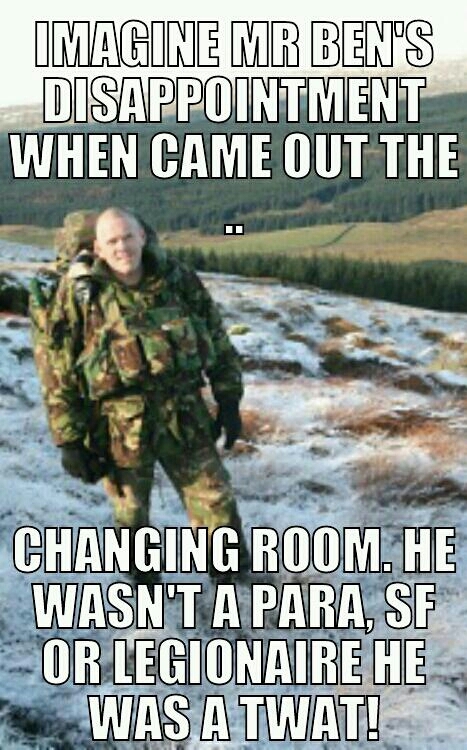 Are you sitting comfortably? Popcorn just out of the microwave and the beer nicely cooled? Are you wearing extra absorbent pants just in case? Well gather thee round and hear a tale of much “Cumpfuckery” and “Waltdolangdiggerydoda” the tale that is Antony Cumper Two the return. 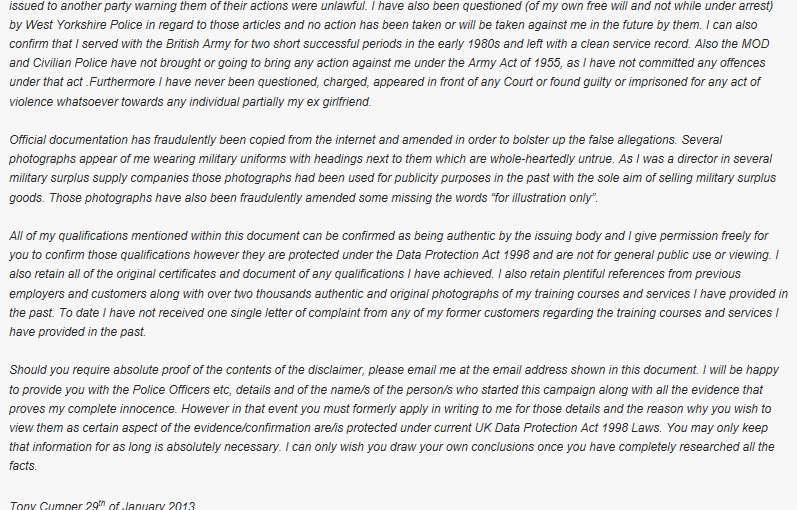 A few weeks back we received a PM from a concerned individual about the antics of a Close protection firm called Thor Risk management where an individual called Tony Cumper was offering free jap slapping classes and close protection for venerable females again making claims of his Military skills, only to then insist on a charge for those services, So not free, and that there was hints of intimidation towards these females. Now this is not walting, but scratch beneath the surface and a can of worms opened. 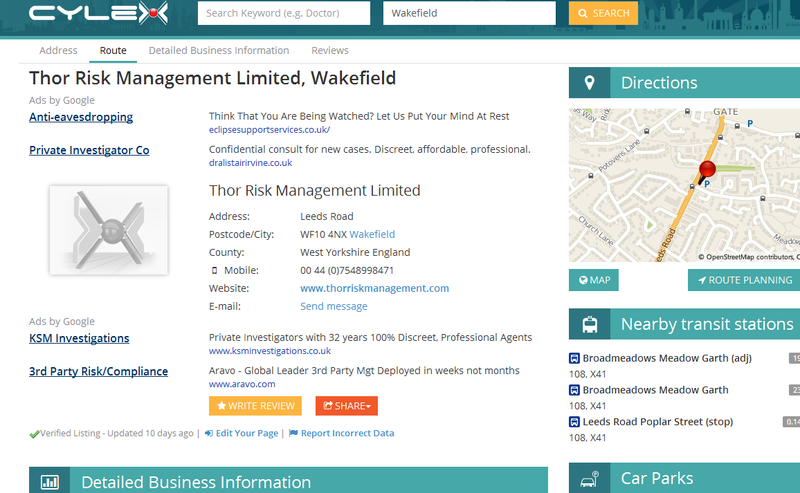 We took a look at Company’s house listings for Thor Risk Management and noted the director was called Jonathan Renner with no mention of Tony or Antony Cumper, but the address 46 Grafton Street is not far from 49 Grafton Street where Mr Cumper had changed address of Sneaky Beaky Adventures before like most of Cumpers business had been dissolved along with several Country Court Judgments! 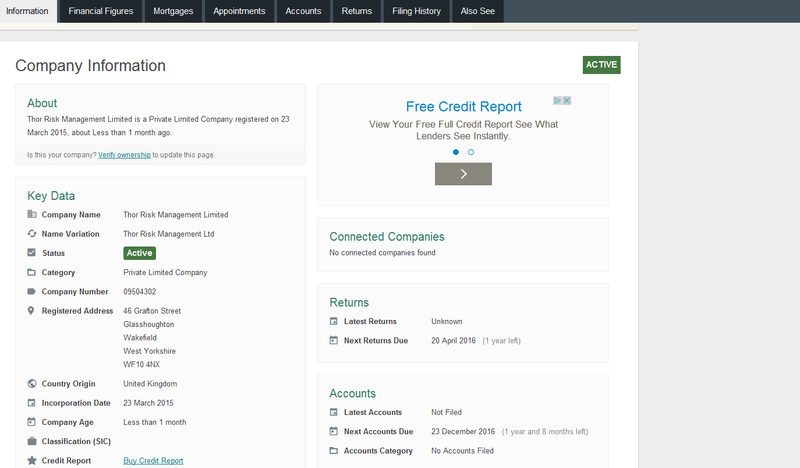 Even more intriguing is that the domain for Thor risk management is registered at 49 Grafton Street Cumpers Address but the company registered address is 46 Grafton street. Odd!!! We then noted the other directors who were all linked via Facebook to a Tom Hadley, all were friends linked to each other and yep, Jonathan Renner. Again, could this just be a coincidence? So we looked a bit deeper. Renner and Hadley had the same profile pictures and style of writing from Linkedin and facebook. Renner has a valid in date front line Close Protection SIA licence as has Cumper. 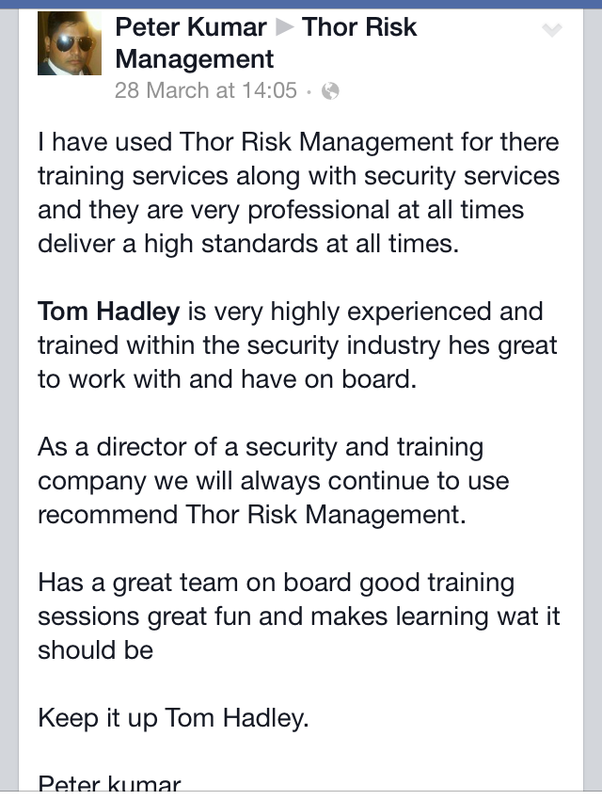 No Tom Hadley could be found on the SIA database which is strange as Bodyguard to the stars Peter Kumar who we will add we could not find on the SIA database either, praised Tom Hadley as a great operator and instructor and also bigging up Thor Risk Management at the same time. 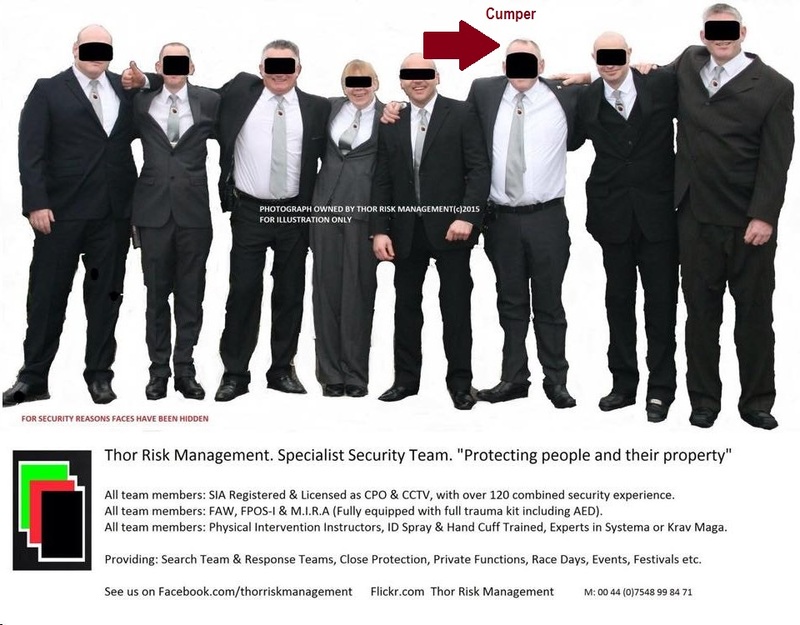 We then noted a picture of the Thor TEAM along with Ebay SAS issue Black n nasty to hide their identity’s, but there is not enough Harry maskers in the world to mask that fat Sweeeeeeeeed and Cumper could be easily identified Third from the right. 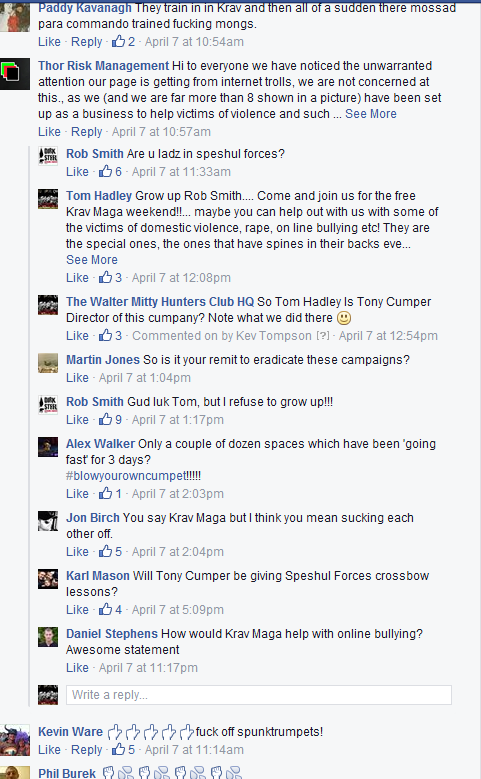 We than sent out some bait on the Cumper HQ page to see if anyone would take a nibble and soon Tom Hadley and Thor Risk management posted comments offering free Jap Slapping lessons and claiming they were all above board. 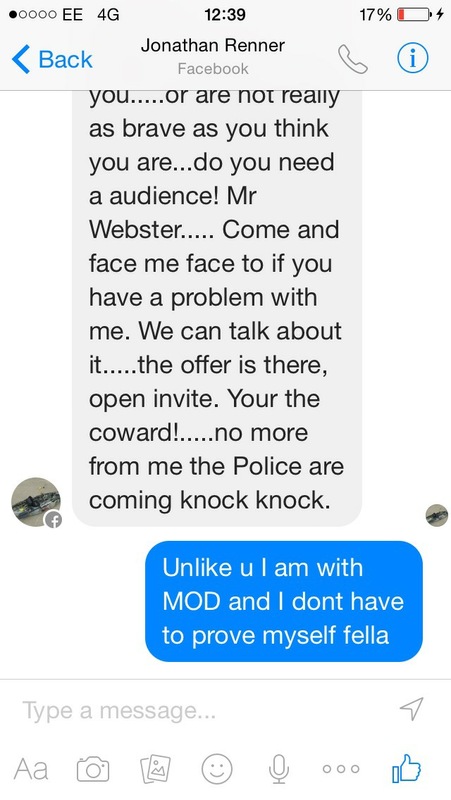 Soon the mocking began and Cumper, sorry Hadley dropped his guard and snapped like a kit Kat and openly admitted he was using a fake profile and then changing his profile picture to that of ours, hoping to confuse. We managed to screen shot before the change ;). 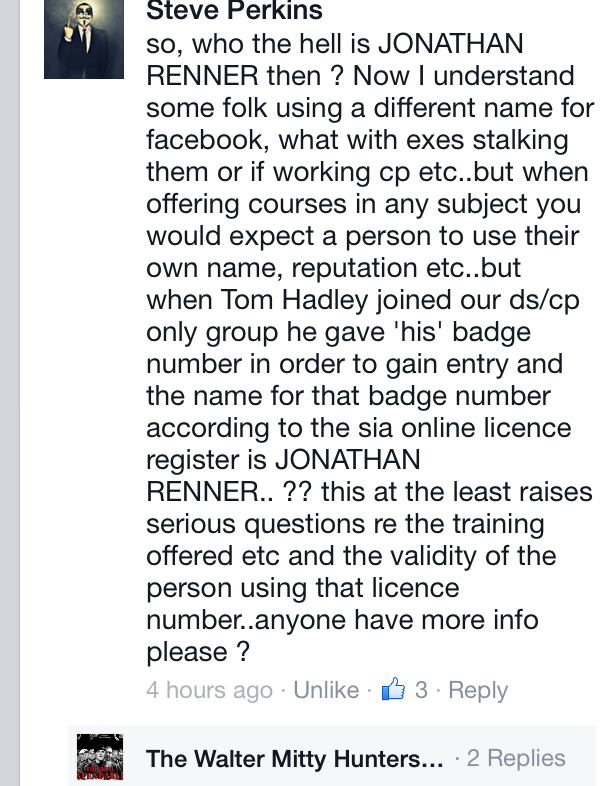 Then a member of a Security related forum recalls the Profile of Tom Hadley requesting to join a secure page, but using the SIA number of Jonathan Renner and claiming to the Admin he used Tom Hadley as a cover name. Nothing odd about that? Take a look! 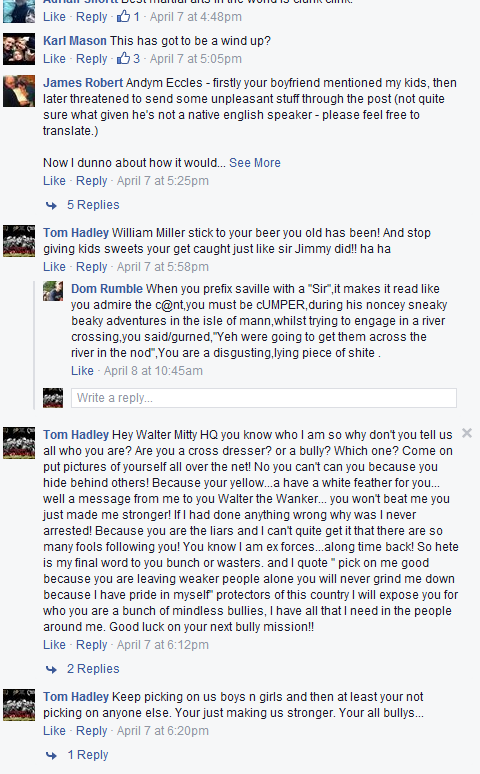 But wait, Someone gets into a conversation with Jonathan Renners FB profile and again like Tom Hadley, Cumper Snaps again and reveals himself as using yet another the fake profile, but of Jonathan Renner. Soon both Hadley and Renners profile pictures change. Renners Profile then deactivates. 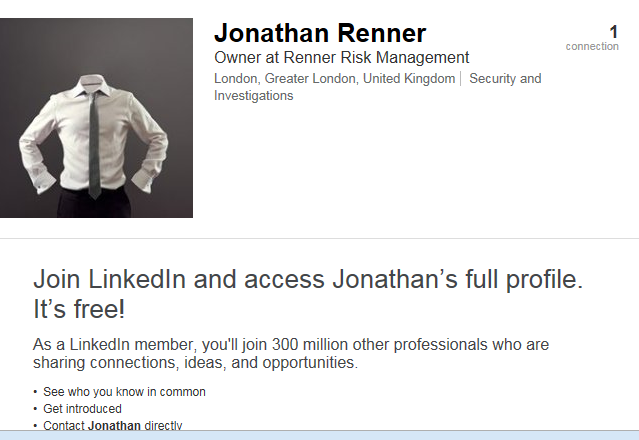 So the big question is who is Jonathan Renner? A check could not find a Jonathan Renner residing in that part of the country. “He’s their director and secretary too…. She doesn’t mention that. ONE WAY or the other by him stating he is a self employed trainer with thor risk he lied, and by thor stating the same thing, they lied”. 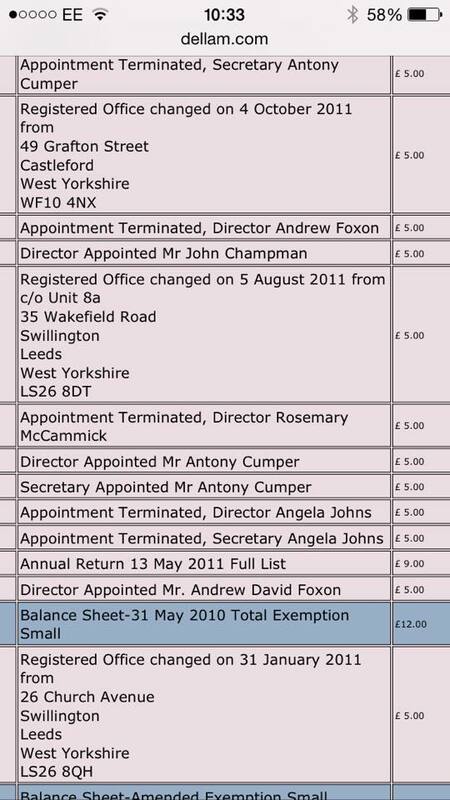 Has Tony Cumper been made subject to the Company Directors Disqualification Act 1986 and now using a fake name to set up another company. Whatever the Case If Cumpers behind it then it’s a sure bet something is not right! 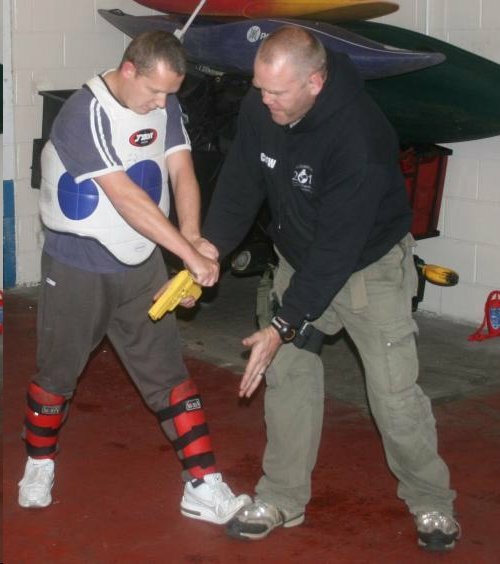 Close Protection Officers and the Industry have come under the microscope in the last few years along the BBC highlighting the abuse of the SIA licencing system. There are plenty of Cowboys operating taking much needed work form those who follow the rules. Cumper is not one of them! 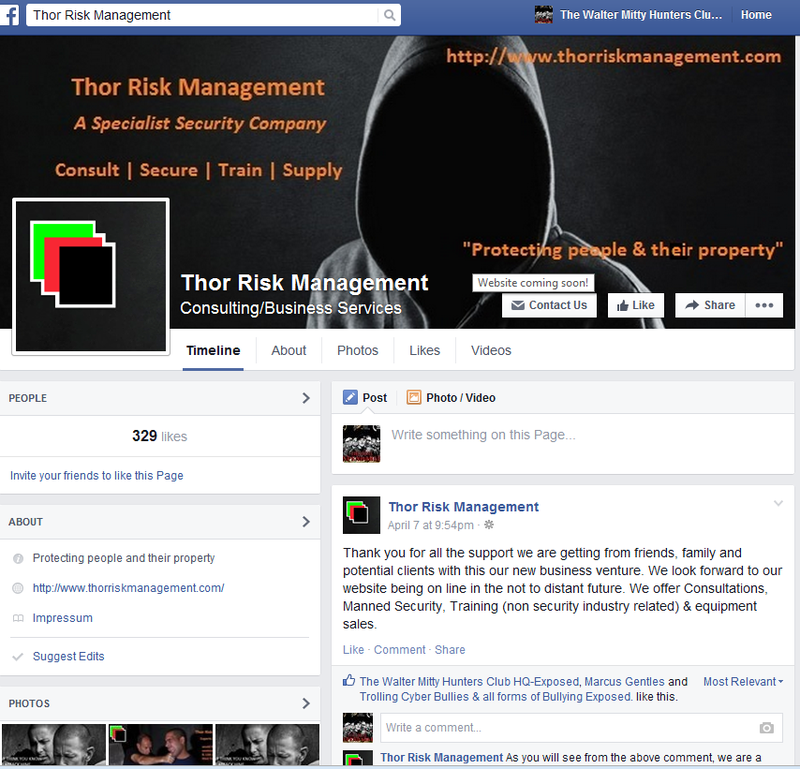 Not to forget the other “Thor” facebook profile going by the name of JANE ROBERTS (also alread deleted !!!) that was created around the same period as Thor, Tom and Johnathans FB page. S-he was the only one to defend Tom and to have him as well as JR in h/is/her contact list. 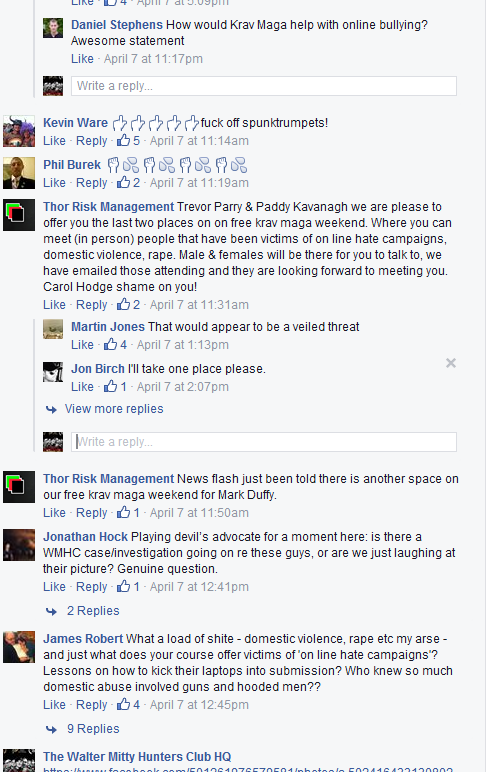 Besides that, they were ALL advertising their free self-defense courses in conjunction with online bullying. There was even a website advertised which was …. created again around the same period !!! 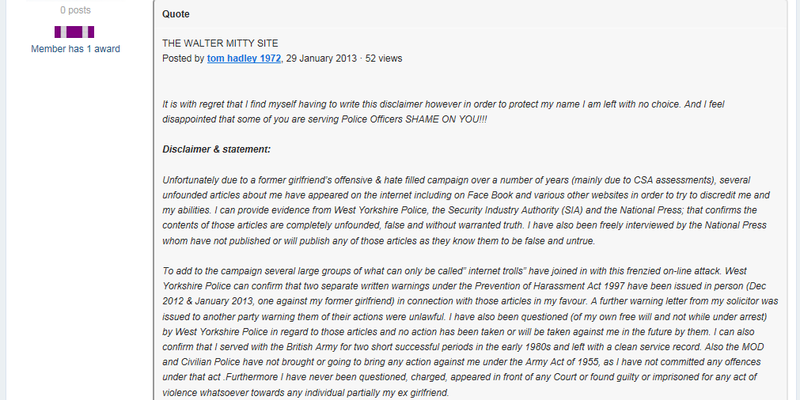 Here’s a copy of one of my comments to the subject. Maybe you guys check out this website and if the listed persons really do exist and if it really is a ‘help’ group. “I might go even a bit further, just by investing 5 min. Jane Roberts you shared yesterday a post about “cyber bullying” … a page that was created about the same time as your facebook page AND the Thor page … it links to a webpage called http://cybertrollingbulliesandallbulliesexposed.vpweb.co.uk/ which has equally only been created recently and still has plenty of “under construction” signs. Just a coincidence? Or a backupplan in case you get sniffed out? I can only speak as I find and I found this man to be genuine both inside and out ….. your vindictiveness out surpasses all I have encountered in life . Maybe you want to check out his identical twin brother Mr Stephen Mark Cumper who is now known as Stephen Cooper. 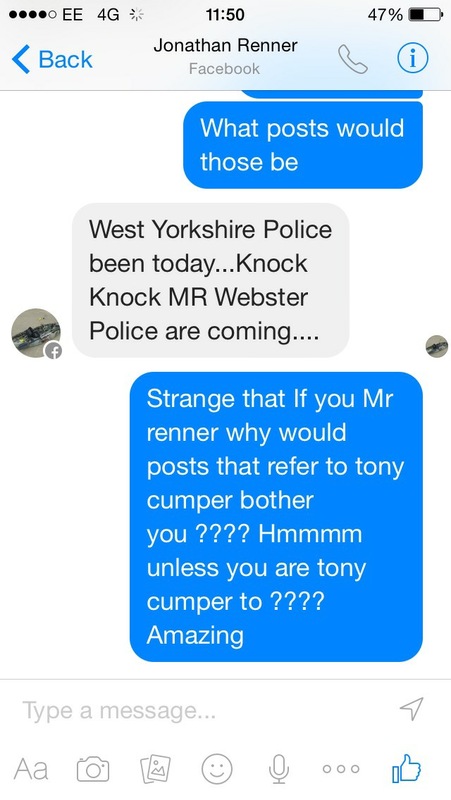 You think Tony Cumper is bad. The Idiot has been watching too many episodes of S.H.I.E.L.D. 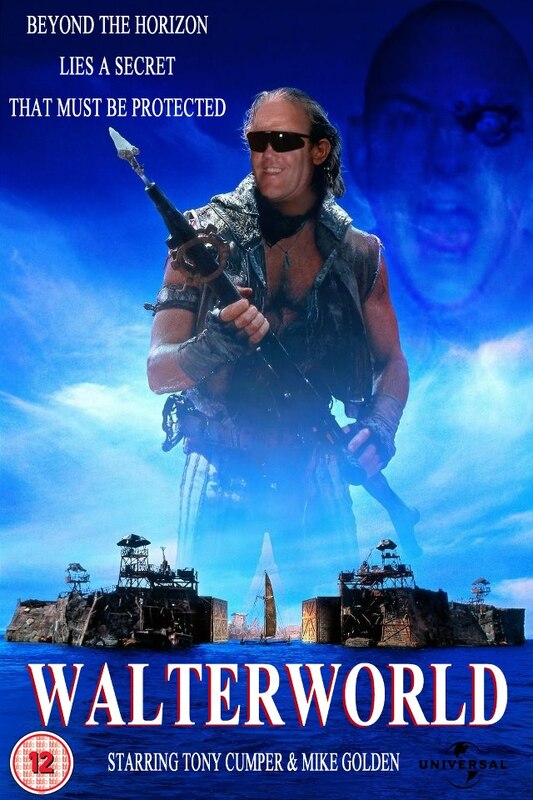 It wont be long before he changes his name to that of his hero’s……….Fury; and will probably wear the eye patch?